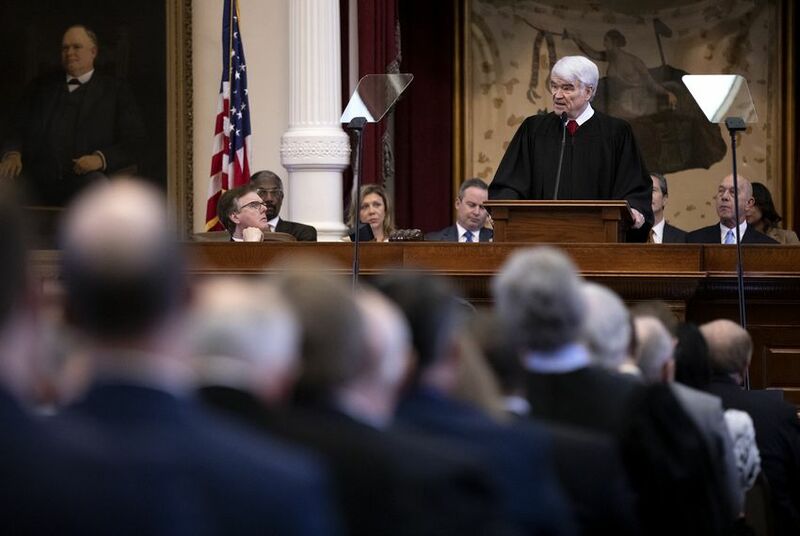 The chief justice also brought up an issue that has become a major focus for him: Texas’ bail system. Federal judges recently called Texas' money bail practices unconstitutional, saying defendants are wrongly detained simply because they are too poor to pay bond amounts for their release from jail before trial. Hecht called for lawmakers to pass bipartisan bail reform legislation filed this week by state Sen. John Whitmire, D-Houston, and state Rep. Andrew Murr, R-Junction.